Yet another leaked image that purports to show the official packaging from the upcoming iPhone 6s has made its way into the public domain. 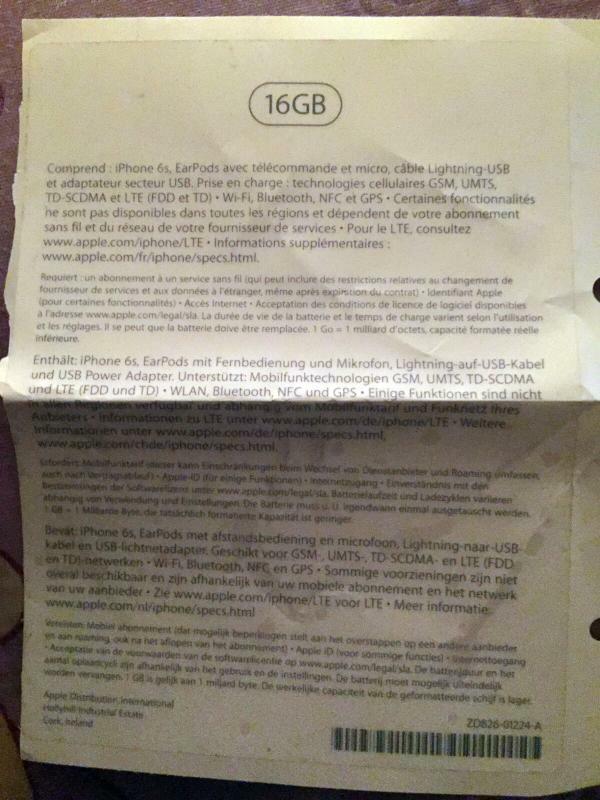 The image, shared with the world by Steve Hemmerstoffer, claims to show a sticker from the rear of the next-generation iPhone box that clearly denotes a 16GB model. The rest of the information is fairly standard, outlining information such as the inclusion of a Lightning cable, the integration of Bluetooth, Wi-Fi and other connective options such as NFC and GPS. The availability of this second image comes hot on the heels of the iPhone 6s packaging reveal that we brought you yesterday. The information on this particular image, and what it actually represents, is likely to divide opinion amongst those looking to purchase a new iPhone when it drops. The unveiling of last year’s iPhone 6 was bizarrely greeted with a number of lawsuits against the Cupertino company after it made the decision to double the storage capacity of the mid and high-level devices to 64 and 128GB, but keeping the entry-level option at 16GB rather than 32GB. A number of disgruntled iPhone 6 owners believed the lawsuit was a legitimate course of action due to the fact that Apple had kept the lowest level device at 16GB but allowed the installation of iOS to chew up a large percentage of that capacity. Those individuals would likely have been hoping that Apple would have taken notice of the calls for a larger capacity entry-level option by upping the capacity to a minimum of 32GB with the iPhone 6s, as rumored. But if today’s leak of the retail box is an official representation, then this certainly doesn’t appear to be the case. Conversely, those looking to get in on the iPhone 6s action with as little financial outlay as possible will be relieved to see that the 16GB variant still exists. Doubling the capacity of the device inevitably comes with a cost increase that is then passed onto the consumer. Of course, those disgruntled consumers who are concerned about iOS installation space can take some solace in the fact that Apple has made huge steps forward in this area by concentrating engineering efforts on keeping installations and upgrades to a minimum. 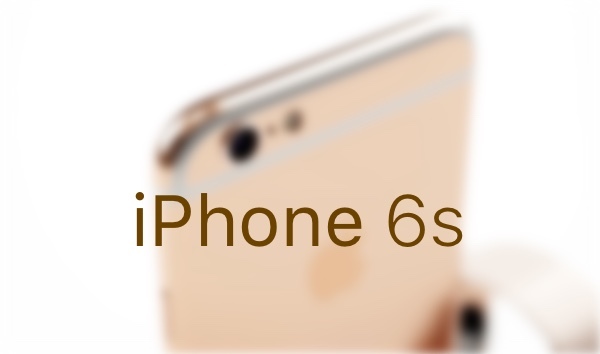 The iPhone 6s will be announced this coming September 9, and is expected to feature Apple’s new A9 processor, the integration of Force Touch in one form or another, a new set of camera sensors that will see the rear and forward-facing cameras improved, among other things. What about all those Windows Phone/Android devices with 4/8GB of storage that won’t never see OS/security updates ? the people that have those old phones don’t care about updates or security. If I had one of those I’d throw it in the trash! LOL I know people still using iOS 6 and don’t even have iCloud setup. They don’t care. Why would Apple eliminate the 16gb model. This gives them an excuse to up price $100 for 32gb. Easy profit for them. what’s about millions of lowest class iphone users ( iphone 4 ) that’s never see the light of an update? I have iphone 6 plus 126gb. I have setup icloud and logout. Why should I give my precious information to apple? I don’t care about icloud or any security. That’s why my iphone run with jailbreak. Lol you gave apple access to your “precious” information the second you accepted the ios license agreement. Also your “precious” information is more susceptible to security breaches when you have it jailbroken. My i6+ is jailbroken, but I’ve not got any “precious” information on it so I don’t really care about any security issues. There is a denial of access for a lot of cheap ՍΝᏞΟᏟΚings on the AT&T data base, that causes all of the third party ՍΝᏞΟᏟΚing sites not able to սոⅼοсking AT&T anymore. However, there are still sites that can do the job, just google atttiphoneeuunlockingis certainly one of us, go check it out, oahu is the site I have been using for 6 of my phones after the database shut down. That phone is 5 years old. It is normal for phones that old, both iOS and Android, to not get updates. I am amazed that Apple could get iOS 9 on the 4S.